Feature Sheet-feed duplex scanning at up to 35 ppm/70 ipm. Feature Maximum paper feeding reliability including ultrasonic double feed detection. Minimum system requirements Microsoft® Windows® XP, XP x64 2000: 500 MHz processor (1.4 GHz processor recommended), 64 MB RAM (drivers only), 256 MB RAM (/512 MB RAM recommended), 80 MB available hard disk space (drivers only), 200 MB available hard disk space (500 MB recommended), USB 1.1 and later (USB 2.0 and later recommended), CD-ROM drive, 800 x 600 SVGA monitor, 16-bit colour, Microsoft® Windows® Internet Explorer 6 and later; Windows Vista™, Windows Vista™ x64: 800 MHz processor (1.4 GHz processor recommended), 512 MB RAM (1 GB RAM recommended), 80 MB available hard disk space (drivers only), 200 MB available hard disk space (500 MB recommended), USB 1.1 and later (USB 2.0 and later recommended), CD-ROM drive, 800 x 600 SVGA monitor, 16-bit colour, Microsoft® Windows® Internet Explorer 7 and later. Feature Professional optical character recognition (OCR) with included I.R.I.S. Readiris™ Pro. 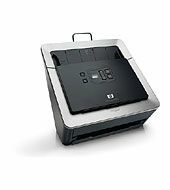 Feature ScanSoft® PaperPort®, ISIS® and TWAIN drivers included. 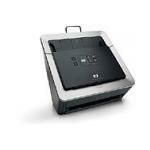 Feature 50-page capacity ADF plus embossed card scanning slot.